A government looking for ways to turn federal spending into exports and jobs must learn how to nurture and protect the country's business innovators, Don Pittis writes. Pure market theory says the best thing governments can do to help business succeed is to get the heck out of the way. It didn't work under the Tories, and Finance Minister Bill Morneau has already broken that rule. And in yesterday's fiscal update, he promised to pour billions more into infrastructure spending. "Decades from now, when my kids tell the story of when their dad was the finance minister, I want them to look back and see our government's first year in office as the year Canada began on the path towards a new modern economy," Moreau announced in the House of Commons. 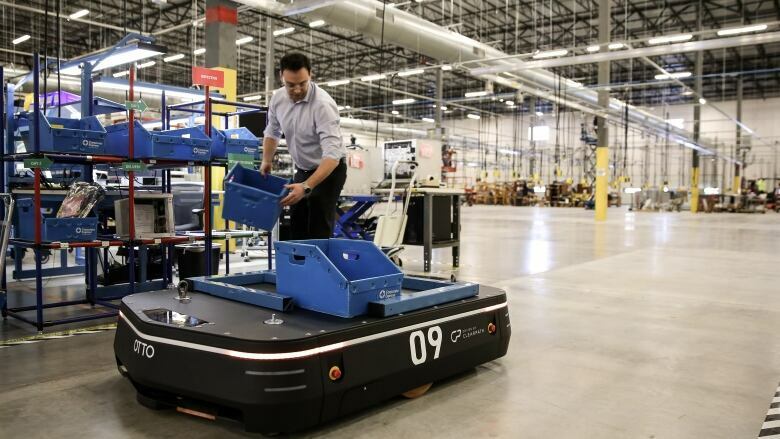 But a chorus of voices from the leading edge of Canadian business says all that spending will be wasted until the government develops an industrial strategy for the 21st century. That's a faint hope, however, unless the government starts worrying less about infrastructure and more about the only sector in the world where good jobs are being created. That's innovation, says Dan Breznitz, Munk chair of innovation studies at the University of Toronto. "The most important thing to understand is that we never had an innovation policy in this country," says Breznitz. Over the past 40 years, and maybe even before that, critics say, the federal government has been too willing to let the market rule, ignoring lessons from countries such as Taiwan, Israel and Finland, which have learned to nurture their innovators. 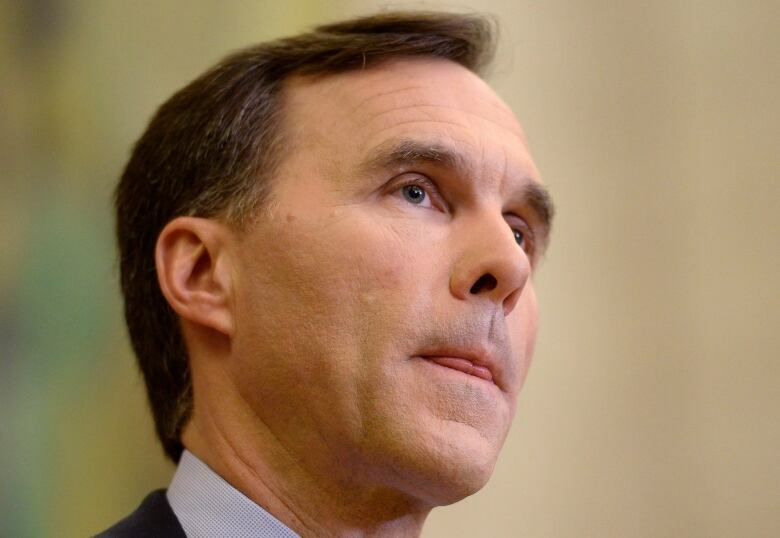 In his mini-budget speech, Morneau pointed to Canada's new popularity indicated by the recent cover issue of The Economist magazine. Breznitz says that is part of a Canadian competitive advantage that we should be using to our benefit. 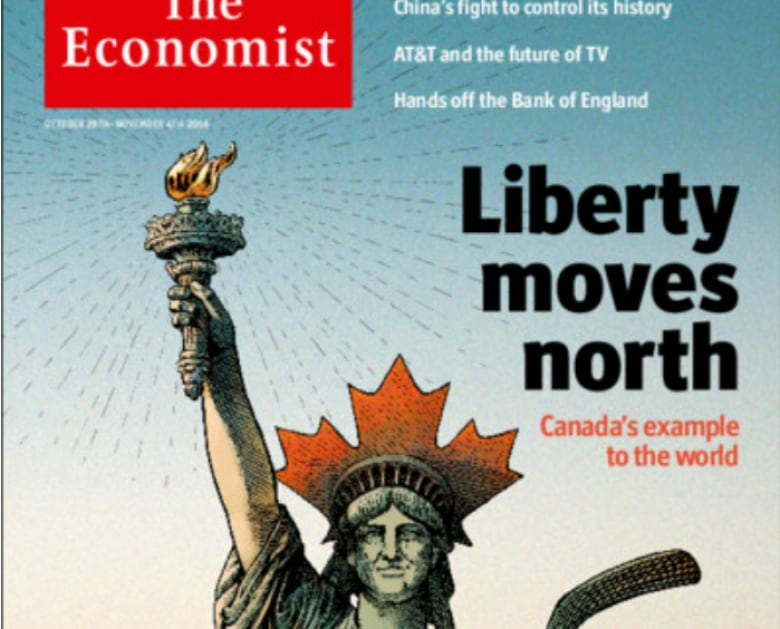 As the finance minister pointed out, the latest Economist magazine cover declares Canada an example to the world, but critics says our innovation policy is non-existent. "Nobody trusts U.S. regulation after the financial crisis," he says. "People trust Canada." But when it comes to being open to innovation, Canada has a list of problems, including being dangerously closed to new and disruptive ideas. "Just think for a moment what would have happened if Uber started in Canada," says Breznitz. "Do you think it would survive for more than two months?" Canada's industrial strategy, such as it is, has been to keep as open as possible to European and U.S. investors. Just as we saw during the recent commodity boom, a laissez-faire policy resulted in foreign and domestic money pouring into the resource sector, extracting oil, natural gas, oil and minerals for export. As the loonie climbed in value, many traditional industries were wiped out, as exporters found themselves priced out of their overseas markets. But in the world of innovation, the vein of gold up in the hills is intellectual property. The modern equivalent of those traditional industries is groups of people using that intellectual property to sell things people in other countries want to buy. If you extract and export all the intellectual property, the industry-building stage — needed to replace our lost steel and ketchup factories — never has a chance to develop. And according to Myra Tawfik, EPICentre professor of intellectual property commercialization and strategy at the University of Windsor, part of the problem is that Canadian startups just aren't prepared to defend their intellectual property from the international bullies. And the Canadian government isn't giving them much help. "Once we start to become of a certain size, we either are bought," says Tawfik, "or worse yet, we get sued in an extremely crippling global legal system." Canadian companies are effectively killed off before they can prosper and grow. Intellectual property lawyer Jim Hinton notices the same thing with many startups in Ontario's Kitchener-Waterloo area. Global intellectual property law is a dog-eat-dog world, and too often the young people with bright ideas who start new companies find themselves facing laws stacked in favour of global giants. "It's easy to get and to enforce patents if you're a big player," says Hinton. "If you're a small innovator, and we don't have any big companies in Canada ... it's hard to enforce these patents." Hinton proposes a state-supported private agency to help startup companies to file patents at an early stage and support them in later stages with what he calls a "sovereign patent fund" to stand up to the international bullies. But there is another area where federal government involvement is crucial to produce and protect Canadian innovators, according to Richard Gold, McGill professor and founding member of the Centre for Intellectual Property Policy. He says the idea that intellectual property is guided by Adam Smith's invisible hand is simply absurd. Instead, he describes a world where international bodies hammer out intellectual property rules, and where leaders, surrounded by intellectual property advisers, fight for policy and standards that favour their own corporate champions. Often, he says, Canada hasn't even bothered to get a seat at the table. "We spend lots of money. We have smart people, but we play a 19th- and 20th-century game, not a 21st-century game," says one Canadian tech company executive. "That's why we lose."